Although spying is not a good thing and it can get you in trouble. but it can be used in a good way like monitoring your workplace, your employees or kids. Spying at times is illegal and if you get into trouble while doing so we are not responsible for that. These apps have interesting great features which you will love, these apps are also helpful to protect your private information. These apps are also helpful to protect your identity and personal data if your phone gets stolen. Now, let’s move on to Top 6 spying apps for Android phone. Following are top 6 spying apps for Android phones and tablets. Following list is based on my opinion, you might like them or you might not. Check out the apps and let me know what you think of them in the comments. Following is my list of Top Tracking apps. If you want to see an independent review of best spying apps for then check out this site that states mSpy app as the top tracking app. Its one of the best app present for monitoring your children from potential dangers of the internet. This all lets you monitor the activities of your children on their Android devices. iKeyMonitor stores information regarding SMS, call history, GPS and passwords, and this information is delivered to you by email. IP Cam Viewer is a very famous application that lets you view and control IP Camera. It also lets you monitor network video camera along with traffic cameras. IP Cam viewer also lets you access CCTV and Webcam from Android phone. You just have to configure some details and then you are good to monitor videos on your Android phone. It also has a feature that starts recording videos whenever there is some movement in the camera view. MobiStealth Android monitoring software is one of the best app to keep and eye on your children and monitor their activities. It is the best app to protect your children from cyberbullying. Basic features of MobiStealth Android monitoring software are mentioned below. Get Location of Android Phone. Even if the GPS is not working. Although, it is not a basic spy app it lets you record calls and upload them to cloud service. 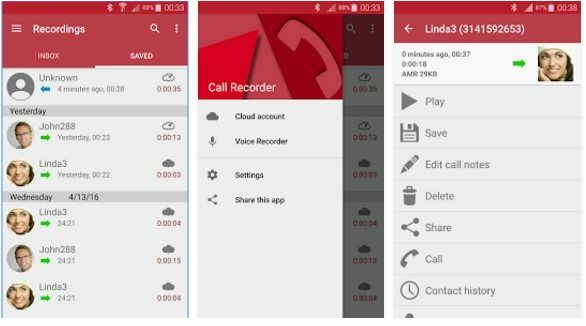 You can use this app to select the individual whose calls you want to record. Good application if you want to keep a track of your calls and don’t want to miss out important details discussed in calls. This all allows you to take pictures secretly. The app behaves smart and does not shows the camera interface while taking pictures so that even if someone sees you taking a picture they won’t see the camera interface on your phone. A great tool that can be used as a detective. Use this app to enhance hearing capability to eavesdrop on the pr0ple around you. It lets you hear what people are talking at a distance. The basic function of this application is to acquire audio via a microphone, Amplify it and then play it so you can hear people talking, even if they are at some distance. You can also connect Bluetooth to this app and leave your phone at some place and listen to it from distance. It also allows you to fine-tune the audio for better hearing. 5 little-known apps developed by Google. Top 6 lock screen replacement apps for Android. Best Apps as an alternative to stock Google Messenger. Disclaimer: Spying is a crime in some countries. We don’t own these apps. Spying on someone without their consent is wrong. Purpose of above-mentioned apps is ethical supervision for parents wishing to supervise the activities of their underage wards or for employers wishing to supervise their employee-base. Above mentioned apps should not be put to use as a means of spying or stalking virtually anyone. That’s all. Let me know your opinion about Top 6 Spying Apps for Android phone. If you think there should be some other app on this list, let me know in the comments. If you have any experience with these apps. Do share with us in the comments. Your feedback is appreciated.